CNC machined out of a thick sheet of aluminum. 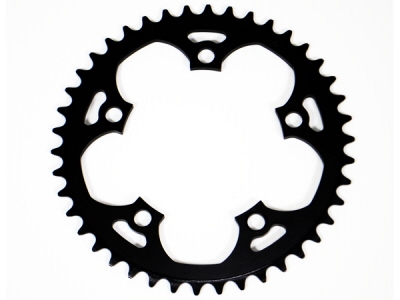 Profile gears are straight / durable and lightweight. You may need longer chainring bolts when using these chainrings with some thicker spiders. Made in the U.S.A.